But I'll go into detail later of what my goal for the BFME 1 version is, kinda busy ._. I'm not sure on increasing Buildings' Build Time & Health. And I'll add Civies and Patrols. In A Sense to give you guys some of what EA promised, yes I've watched the Inside the Battle Videos, but not totally. I have a change log .... somewhere..... if i can find it ! The Troll Cage, Warg Pit, Rohan Stables, and Gondor Stables give veterancy upgrade when on level 3, they'll rank any unit they produce to level 2. 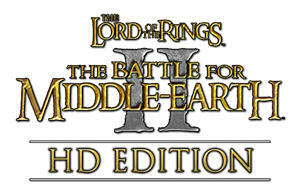 Elven Allies replaced with "Call of Elrond" Summons 3 battalions of Third Age Noldor Warriors for a limited time. Archers now have a chance of missing targets, decreased defferently on units, heroes do not have this ability. That is all i can remember now ._. Edited by Rider of Rohan, 27 March 2013 - 05:42 PM.